The PTZ-2500-36 is an upgraded version of its little brother (PTZ-2500-18), providing the same great high speed movement (<300°/sec) and improving on the optical zoom capabilities with a new 36x zoom module with auto-focus. This camera delivers the best zoom for longer range controllable video. The built-in electronic 36x optical zoom is ideal for areas where you need greater clarity. These cameras can be plugged into any existing analog DVR and are a great upgrade for systems with cheaper, lower resolution cameras (Lorex, NightOwl, etc). 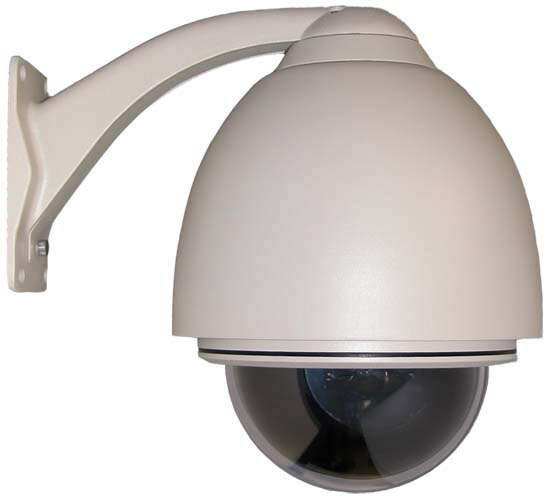 The PTZ-2500-36 PTZ Dome Camera.